What Is Artistic Concrete Engraving? The popularity of finishing concrete floors has increased for both the outside and the inside. The products for staining and sealing have also increased in number while the procedures have also been simplified. Therefore even to contractors they have low chances of failure in regard to the job owing to improved dependability. 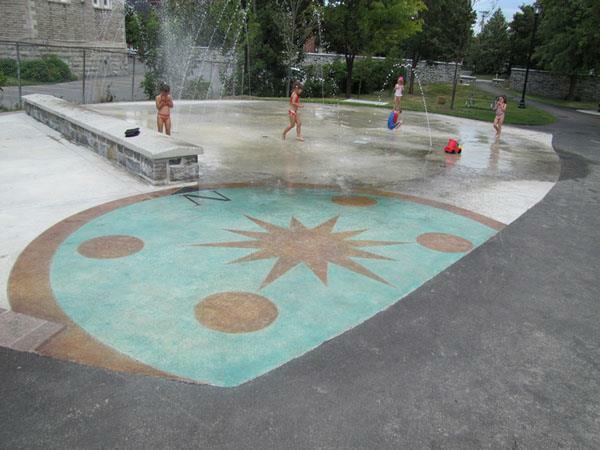 Artistic concrete engraving is one of the processes experiencing fast growth. Artistic concrete engraving is being widely accepted because the process is simple; the cost of materials is lower while the range of looks, reproduction of patterns and colors is almost unlimited. Sealing and staining of concrete surfaces are processes that have been utilized for a long time. However, today’s market demands having concrete surfaces to which texture has been added. Businesses and homeowners are after replicating building materials of higher cost be it in or on concrete, as well as addition of relief to replicate graphical designs and treatments, for example corporate seals and corporate logos and emblems. Artistic concrete engraving is utilized in creating the desired look and the higher the complexity the more the perceived value will be. Artistic concrete engraving involves use of machines that are specifically designed for cutting patterns in concrete that is coloured or plain. The sections of concrete can also be chipped by use of templates and tools. Consequently, the artistic concrete engraving reveals designs that replicate a certain graphic or pattern in terms of details. The little labor that is needed in artistic concrete engraving has contributed to its growing popularity. No materials are added to the surface while the machinery that is needed is light and manageable since it is relatively small. Therefore the business has attracted both types. The innovative tools used in artistic concrete engraving are utilized alongside templates that are specially manufactured and designed, allowing contractors to engrave unlimited types of designs or patterns permanently on concrete surfaces. Artistic concrete engraving allows for logos to be replicated on any concrete surface within a government, commercial, industrial, or residential property. It also enables reproduction of patterns that they desire. For example, a driver can replicate the wheels of a car through the engraving. There are many factors to consider when purchasing a machine for artistic concrete engraving such as the amount of control that you want over the process and size of your job. Those weighing several tonnes belong to industrial level. If your job covers a limited area, purchase a smaller model. Many of them use the diamond-tipped saws for cutting into concrete. The intricacy of designs determines the machine to use. The best machines would be those designed for use on materials that are softer, such as tile and brick. Machines that are more sophisticated for artistic concrete engraving utilize sandblasting technology for etching delicate and complex patterns into concrete surfaces. You can also use hand equipment for artistic concrete engraving which is freehand and fine. Such machinery is portable and meant for cutting into materials that are hard. These machines are also the most expensive to purchase and are great in production of artistic patterns.